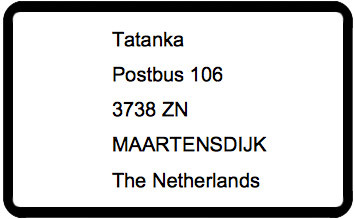 Does Tatanka ship to my country? We ship all our products to Germany, but we don’t ship mushroom growkits, mushroom spores and mushroom truffles, due to German local laws. All our products are natural and legal in the Netherlands. You are responsible to know about the legal status of our products in your country. You therefore need to inform yourself about the local laws your country. See our Terms and conditions. We cannot refund or resend your products, if you didn’t receive your order, when it is stopped by customs. All orders are packaged discreet. There is NO reference to who the sender is. No logo or text mentioning “Tatanka” will be found on the package. Read more information: Shipping information. Yes! We ship always ship all our orders in plain packaging. No reference to us, nor to the content. How many days do I have to wait? Please note that we only prepare orders once your payment has been received. Your package is prepared within 24 hours of payment confirmation. Your package might be delayed by customs as well as by your local postal company. Other factors include the holidays, the weather and incorrect or missing address information. We can not make any claims about an exact time frame in which your order will arrive. However, you will receive a Track and Trace number to your email to follow your order. Which company delivers my orders? We ship all our orders with PostNL (Dutch Post service), they ship it to your country, than in your country your local postal company takes over and takes care of your delivery. Please check your tracking number link after you receive your shipping confirmation email. Once the postal office starts shipping, you will receive another email to track your package. Avoid that your local postal company sends your package back to us. Can I follow my order with Track and Trace? Tatanka only uses Track and Trace shipping, so you always know where your package is and when to be home, when it arrives to your address. Please check your tracking number link after you receive your shipping confirmation email. Once the postal office starts shipping, you will receive another email to track your package. If you missed your package, normally the postal office will try to deliver your package again, sometimes he will leave a note with the address of the nearest postal office to pick it up. In exceptional cases the post office brings the package to your neighbors. You can always contact your local post company with your track and trace number to avoid that they send your package back to us. Normally a package remains in the post office for 1 to 2 weeks. Didn’t get your tracking number? Please check the spam folder in your email too. Or contact us. Available for all EU countries. Available for almost all EU countries with other Valuta to make payments with lower transfer fees. Perfect for Czech Republic, Denmark, Hungary, Poland, Sweden, and the United Kingdom. Available for United Kingdom, for payments with lower transfer fees. How can I pay with Bank transfer? Place your order, choose the payment option: Banktransfer. You will receive an e-mail with further payment instructions, after you placed your order. Use your Order Number in the payment reference. No productnames! 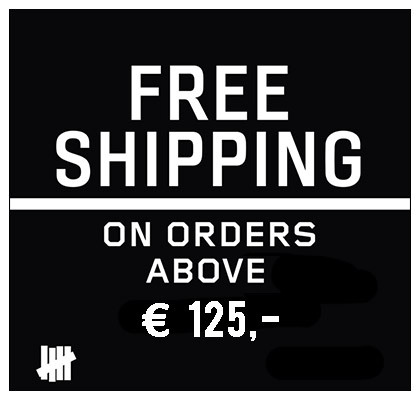 Pay the total amount in EURO + include the shipping costs. We ship after we receive your payment. Paying through Banktransfer can take up to a few workdays. When shipped, you receive a confirmation + track and trace email. How can I pay with Currency Fair? CurrencyFair is ideal for payments from Czech Republic, Denmark, Hungary, Poland, Sweden, United Kingdom and other countries with different valuta. CurrencyFair offers you lower costs, than a normal bank transfer. You have to register on their website first. Place your order, fill in your address and choose the payment option: Banktransfer. You will receive an e-mail with our bank information, after you placed your order. We ship after we receive your payment. Paying through CurrencyFair can take up to a few workdays. When shipped, you receive a confirmation + track and trace email. How can I pay with Global Web Pay UK? Globalwebpay for UK customers is a another way to pay from the UK but with lower fees, than a normal banktransfer. You have to register on their website first. We ship after we receive your payment. Paying through Globalwebpay can take up to a few workdays. When shipped, you receive a confirmation + track and trace email. How can I pay with Cash in a envelop? Place your order and choose the payment option: Cash in Envelop. You will receive an e-mail with our P.O. address information, after you placed your order. Include a note with your Name and Order number. Don’t put your order information outside of the envelop. Because the postal service might takes the money out.. 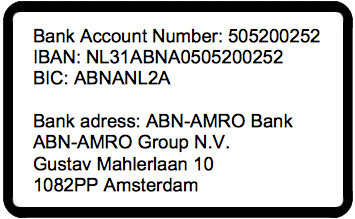 Put the money in a strong envelope, make sure it is correctly stamped and send it to our P.O. Address. Make sure that the money is not visible through the envelope. Always inform us about your cash payment. Once we receive your payment, we will send out your order, when shipped, you receive a track and trace email. We only accept cash in EURO. Please don’t send NO COINS, but round it up. You don’t want the postman to take your money out! Send the full order amount, including the shipping costs. Sending cash payments always remain at your own risk. Can i get a money refund? There are a few conditions for products returned to us, so please read carefully. We do not refund your money, if customs seized your package or if you provided us with incorrect address information. We can only refund products with a long shelf life and products that return to us. You are responsible to know about the legal status of our products in your country and to provide us with your correct address. We do not refund your money, if customs seized your package or if you provided us with incorrect address information. We can only refund products with a long shelf life and products that return to us. You are responsible to know about the legal status of our products in your country and to provide us with your correct address. Terms & Conditions. If you want a money refund or replacement or repair of a damaged product. Where do I notify my returns? 3. Click on My Addresses. Here you can edit all your Billing and Shipping addresses, by clicking on edit. 4. Click on Account details. Here you can edit your name, your email address and your password and save your changes. If you changed your email address, then a confirmation email will be sent for you to verify it. Click on the link in the verification email to activate the new email address. 1. Go to: Your Account. 2. Click on: Lost your password? 3. You will get a email to reset your old password and generate a new password. 4. If you did not get that email, please check your spam box. 5. If the email to change your password is not in your spambox either, than please contact us. Why is the Tatanka website not working normally? Our website functions better, if you enable the cookies in the Internet options of your browser (Internet Explorer, Firefox, Chrome etc.). That makes it possible to put products in your cart. In Internet Explorer click on Tools > Options and then select the Privacy options tab. The privacy settings have to be Medium-High or less for the Tatanka website to function good. Another source for this problem could be your firewall. Please adjust your privacy settings in your Firewall if you like to use the website to it’s best ability. Other technical problems? Please contact us. Where do I report problems with the Tatanka website? If there are any problems for you with the Tatanka website, please don’t hesitate to let us know! We want you to get the best shopping experience you can have! So if there are any technical bugs, we will always make sure to fix them.